This dish turned out AMAZING! 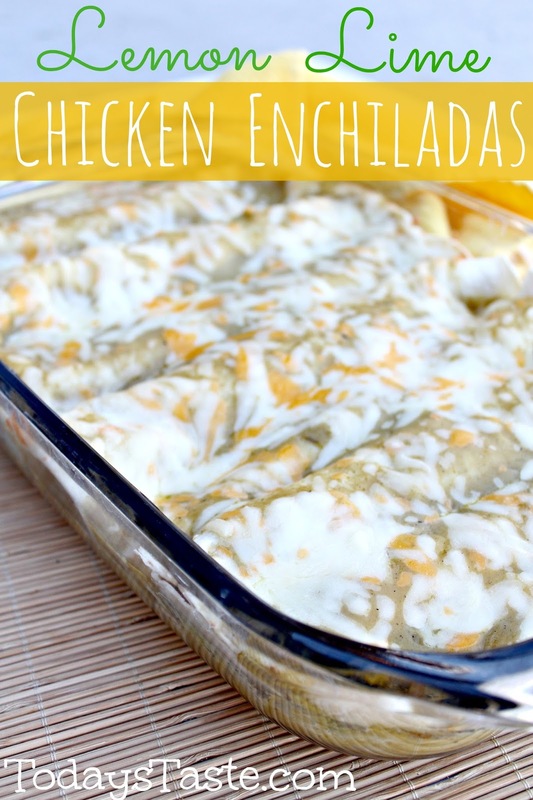 I absolutely LOVE enchiladas and the lemon/lime flavors taste perfect together. Hope you like it as much as we did!!!! Whisk the first four ingredients and toss with shredded chicken in a Zip-loc bag. Let it marinate in the fridge for about 15 minutes. Pour about 1/4 cup enchilada sauce on the bottom of a 9X13 baking pan. Mix the black beans and chicken together. Fill the tortillas with chicken/bean mixture and roll them up. Put rolled tortillas in 9x13 pan as you go. Pour the remaining enchilada sauce on top of the enchiladas. Sprinkle with remaining cheese. Bake at 350 degrees for 30 minutes until brown and crispy on top. Looking for more Essential Oil Recipes? Make sure to check our Oil Tab at the top of Today's Taste. You can find it Here! That sounds amazing--pinning for later!